4434 30th St. #4 San Diego, CA 92116. Our Studio is within the creative walls of "Art on 30th" and we are located on the second floor in Studio 4. You may inquire about the workshops by contacting Kiss a Cow Studios to discuss general printmaking needs and your specific goals for your projects. We can work together to create the workshop that fits your needs. Please join our e-mail list for future workshops and events.
" 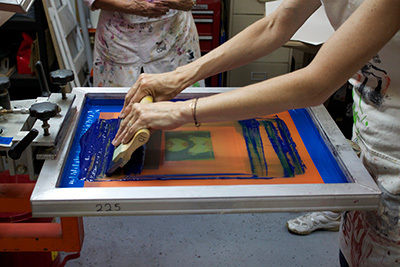 A screen printing workshop for you to explore your creativity." 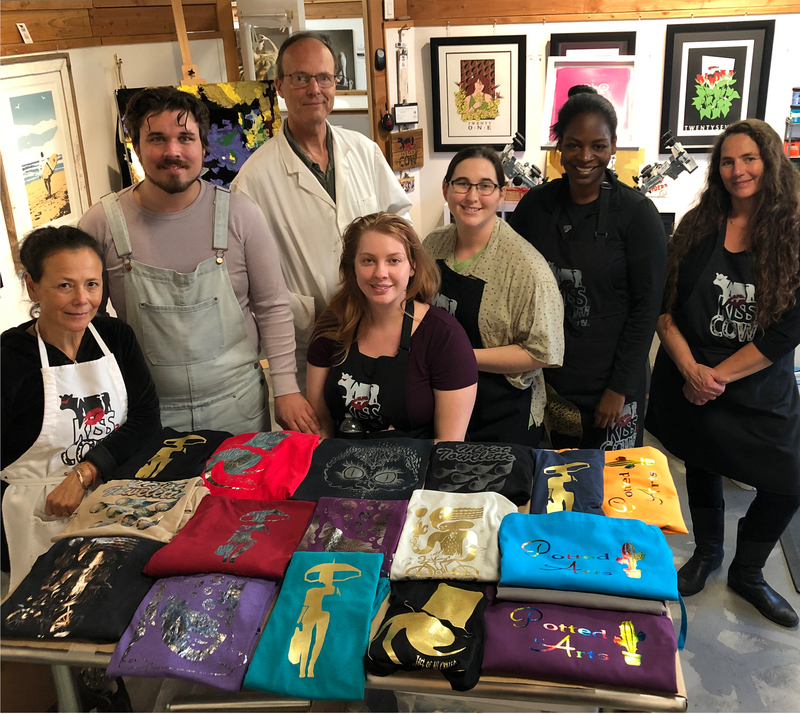 This is screen printing club that continues on a month-to-month basis and a learning environment where participants will design and print on shirts, paper, wood, and/or on other substrate. You will have the opportunity to exchange ideas and get feedback on your projects whether they are shirt designs, serigraphs, posters, cards, or anything else that you design and screen print. If you are planning on starting your own T-shirt line, this is the class for you. You will also get instructions on the use of Adobe Photoshop, Illustrator and or hand art techniques for preparing your designs for screen printing. All Squeegee Benders will get 20% off other Kiss a Cow hosted Workshops. Memberships will be limited. 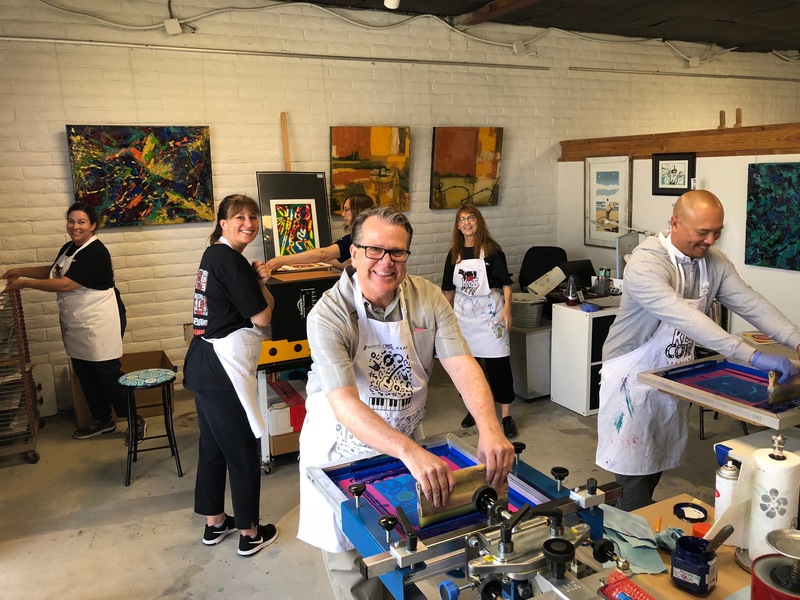 This is screen printing club that continues on a month-to-month basis and a learning environment where participants will design and print on shirts, paper, wood, and/or on other substrate. You will have the opportunity to exchange ideas and get feedback on your projects whether they are shirt designs, serigraphs, posters, cards, or anything else that you design and screen print. If you are planning on starting your own T-shirt line, this is the class for you. 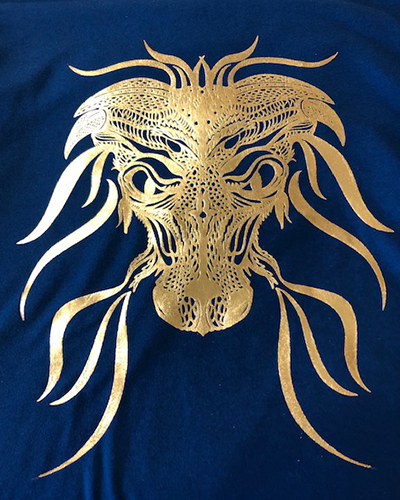 You will also get instructions on the use of Adobe Photoshop, Illustrator and or hand art techniques for preparing your designs for screen printing. This club goes month to month and All Squeegee Benders will get 20% off other Kiss a Cow hosted Workshops. This is a creative workshop in screen printing where the participants will design and print on shirts, paper, and/or other substrate. Let us know what your objective is and we will set up the workshop to meet those needs. This can be a team building experience, birthday party, get-together. All lab safety rules must be followed no sandals-please wear closed toed shoes. Squeegee Benders get 20% Off this price. Ask about fundraising ideas for your clubs and teams and about our "Squeegee Benders Club." We host screen printing workshops where students create and print their own designs on shirts, posters and other substrates. See our schedule of workshops and get on our mailing list. Please check out our store which features many of our custom shirt designs. We also print event shirts for special event pre-sales. HERE for our etsy shop called kissAcow. This is a portfolio of: Custom designs including logos, labels, posters, clothing, cards, banners, printed material web and multimedia animation graphics. It does not include collateral and Annual reports.